commonly used to add numbering to section headings or re-create an <ol>’s counters in order to style them (since browser support for ::marker is ridiculous). From my tests, this works flawlessly in Firefox, Safari, Opera and Chrome (I’ve only checked the latest stable though), as long as the element that displays the count comes after the elements being counted (in the markup). Which displays counters like A1, A2, A3, B1, B2, B3, etc in the cells. When the content property is more properly implemented, you wouldn’t even need the last rule. 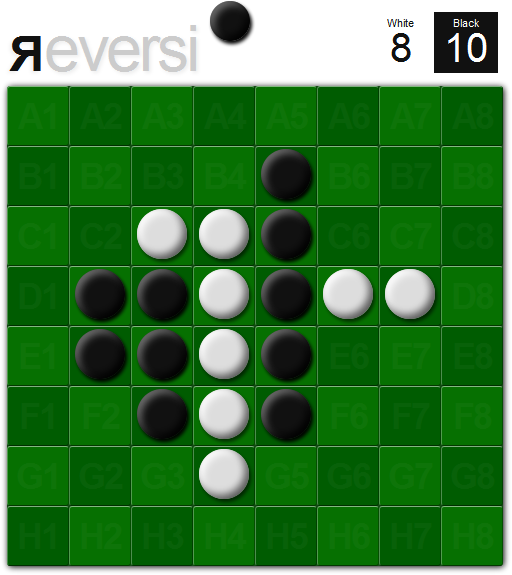 Last but not least, a CSS3 Reversi UI (no images used!) I created a while ago that demonstrates the above (and various other things, like –finally– a use case for :empty 😛 ). Looks fine only in Firefox and Opera 10.5, due to lack of support for inset box shadows in Safari and buggy support in Chrome. Works fine in all 4 of them (IE is out of the question anyway). The displayed counts of each player’s pieces (top right corner) are just CSS counters. Same goes for every cell’s name. This is mostly a proof of concept, since it’s impossible to determine if someone won by CSS alone, so we would have to count the pieces in JS too. As a game it’s not finalized, you are basically only able to play against yourself and it doesn’t know when somebody won, so it’s not very useful or enjoyable. If someone wants to take it up and develop it further be my guest. Note to avoid confusion: CSS Counters are not CSS 3. They are perfectly valid CSS 2.1. The “CSS3” in the title (“CSS3 Reversi”) is due to other techniques used in it’s UI. 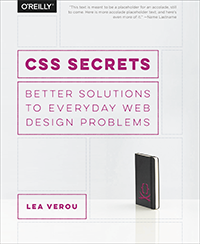 This entry was posted in Articles, Original and tagged CSS Counters, CSS3, User Interfaces in CSS. Bookmark the permalink. ← MySQL: Are you actually utilizing your indexes?